An extraordinary health experience unlike any you’ve ever tasted! 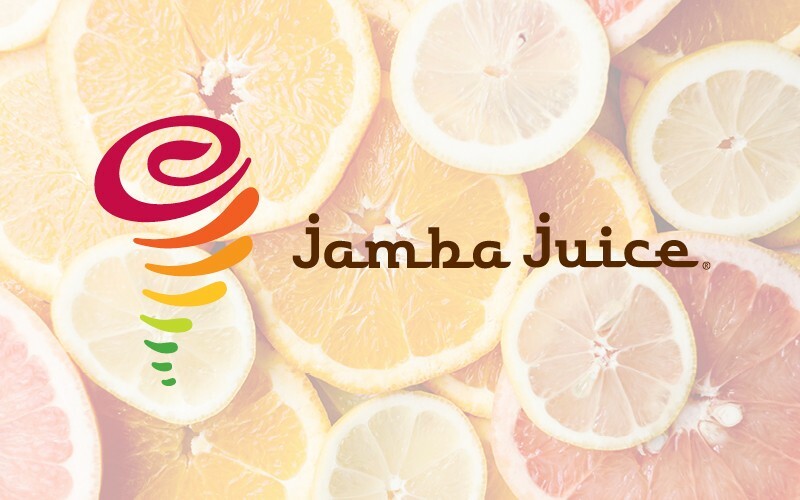 Jamba Juice serves up delicious, nutritious, energizing smoothies and juices. Each one is filled with refreshing fruit flavor and provides 3-6 servings of fruit to get you on your way to 5-a-day! Also, boosted with vitamins and minerals and always served in a fun and uplifting environment… you’ll find we provide everything you need to live an active, healthy and happy life! Healthy foods bring more to your life…that’s why we balance great flavor with powerful nutrition.